If someone were to ask you what your definition of being fit is, what would your response be? Strong core/abs? Be able to squat your bodyweight? Run a mile? The toe-touch test? While these are all ideal indicators of being fit, they don’t necessarily provide an accurate measure of one’s fitness. A lot of guys think they are fit because they can bench press and squat the world (I used to be one of such people) and have washboard abs. The fact of the matter is how fit a person goes beyond physical strength. Don’t get me wrong, being strong is a renowned gift and warrants acknowledgement. There is more to fitness than being able to Deadlift 300 pounds. 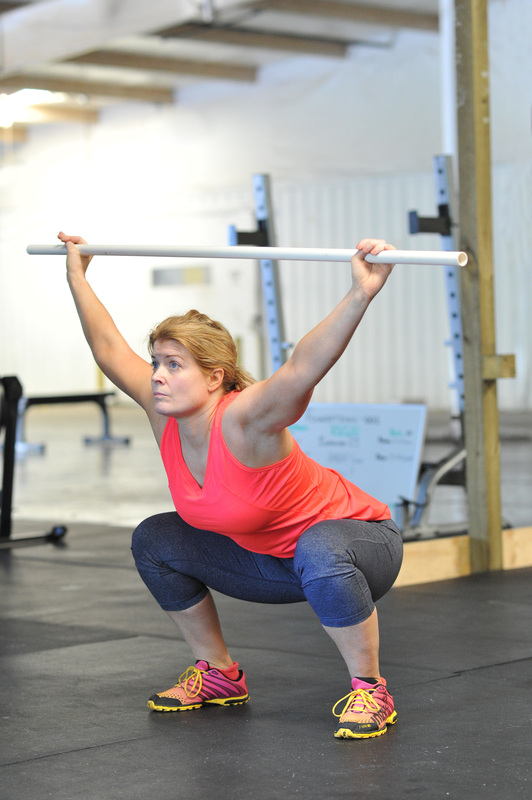 There are several assessment protocols that measure fitness and plenty enough to chose from. But the following are 7 simple tests that can reveal how fit you are and can be done pretty much anywhere using just your bodyweight. These tests will identify strengths, weaknesses and limitations while measuring upper/lower body strength, core strength, cardiovascular endurance, flexibility and mobility. OVERHEAD SQUAT: Using a PVC pipe or a rolled up towel held at slightly wider than shoulder-width apart, bring your hands over your head with elbows fully extended. Your feet should be slightly wider than hip-width. Take a deep breath, brace your core and sit your hips back as far and low as you can while trying to keep your torso rigid. The Fix: Exercises like band-resisted clamshells and side-band stepping are ideal for activating and strengthening gluteus medius which is responsible for knee function and hence better squatting. Regular stretching and foam rolling of the hamstrings and hips can improve depth. Working on external rotation/retraction exercises like band pull-apart and face pull will keep the arms from dropping forward. SCAPULAR WALL SLIDE: Stand wit your back about a foot or slightly less from a wall. Establish three points of contact against the wall : head, shoulder blades and tail bone. Bring your arms full extended in from of your then pull your elbows back to touch the wall. Point your left and right forearms towards 11 ‘o’ clock and 1 ‘0’ clock. From there, extend your arms up against the wall while trying to keep your wrist and forearms pressed against the wall (creating the letter ‘Y’) . Hold for a second and then bring them back down to your starting position. -Were you able to extend your arms up against the wall while maintaining your 3 points of contact and keep them pressed against the wall? -Did any of your body parts come off the wall during ascent and descent? -Did you feel any pain/ache during the movement? The Fix: If you answered ‘yes’ to the first question, congratulations! You have excellent shoulder mobility and flexibility. But if you answered ‘yes’ to the lat two questions, your shoulders are internally rotated thus causing limited mobility in external rotation. This can sometimes come with rounded shoulders or a slouch posture. Interestingly enough, this very test can also be used to correct the issue. Externally-rotated targeted exercises and practicing pulling the shoulders back are the best remedies. PLANK: I don’t consider the plank to be the best measure of core strength given the fact that it requires a great deal of shoulder strength and endurance. But it can be a good indicator of how strong the anterior core is. With a stopwatch timing you, hold a plank for as long as you can. -Did you hold for longer or less than 30 seconds? -Did you hold for longer than 60 seconds? The Fix: Being unable to maintain a neutral spine during a plank not only means the anterior core is weak. It also means the posterior chain isn’t activated enough to keep the body upright. The gluteus muscles and lumber stabilizers must be strengthened to help correct this. Although not universally accepted, holding a plank for less than 30 seconds could be a sign of a weak core. I believe 45 – 60 seconds is a moderate standard to aim for. The only drawback to the plank is it can be quite difficult for people with preexisting shoulder injury and chronic pain. Either way, gradually work your way up to 1 minute. TOE TOUCH: Arguably the most premier assessment flexibility test, the toe touch has pretty much been eradicated from many fitness testing protocols. I still consider it a good measure of hamstring and trunk flexibility. So many people have tight hamstrings and not even know it. This simple test will tell you. Standing with your hands along your sides, bend at the waist (trunk hinge) and reach your hands as far as you can towards your toes. -Did your hands get past your knees and/or shin? -Were you able to touch your toes, or better yet the floor? -How much did you have to bend the knees? The Fix: If you were only able to reach to your knees and shins, your hamstrings are tight and most likely your lower back too. 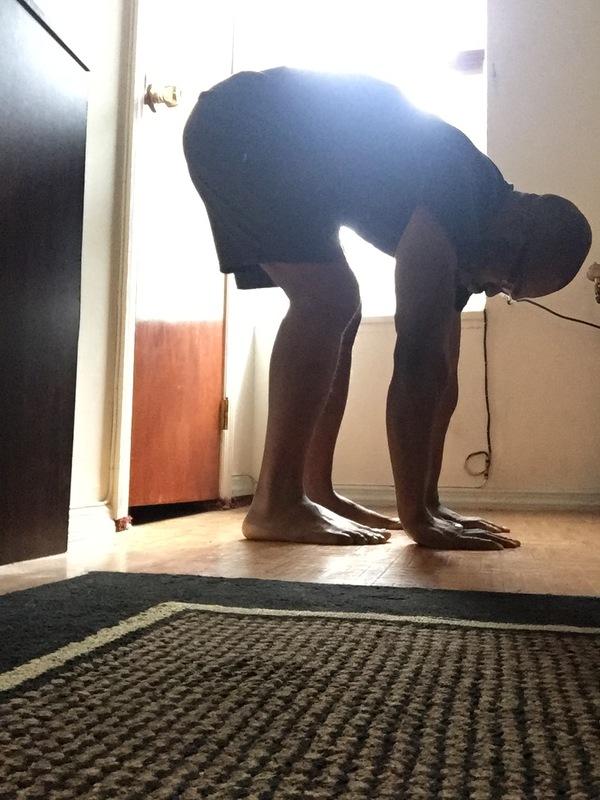 Being able to touch the toes or the ground indicates great trunk and hamstring flexibility. Although the knees can bend slightly during execution, too much bend devalues and diminishes the test. Correcting the above miscues is simple : lots of passive stretching and foam rolling. PUSH-UP: Probably the most ancient exercise of our time, the push-up remains a staple in fitness programs. While it can be used as a workout, it can also assess upper body strength and muscular endurance. Perform as many push-ups as you can. When you start getting tried, drop to your knees and continue until exhaustion. As with the plank, so many standards exist for the push-up. The way I look at it is the more push-ups you can do without having to kneel, the better and stronger you’ll be. The modified push-up, though a regression of the standard push up, can help build some upper body strength. But it’s alway going to pale in comparison to the regular version in terms of improving and developing strength and endurance. The Fix: Incorporating lots of anterior core work can help improve push-ups. Doing push ups on higher surfaces like a bench or Reebok STEP can be a precursor to the push-up. Strengthening of trunk stabilizing muscles like the shoulder and triceps can be beneficial also. The Romanian Deadlift is a popular exercise for targeting the posterior chain but can also a good way to assess balance and strength in both legs when done unilaterally with just the bodyweight. With your hands resting along your sides, stand on your right leg and lift the opposite left foot slightly off the ground. 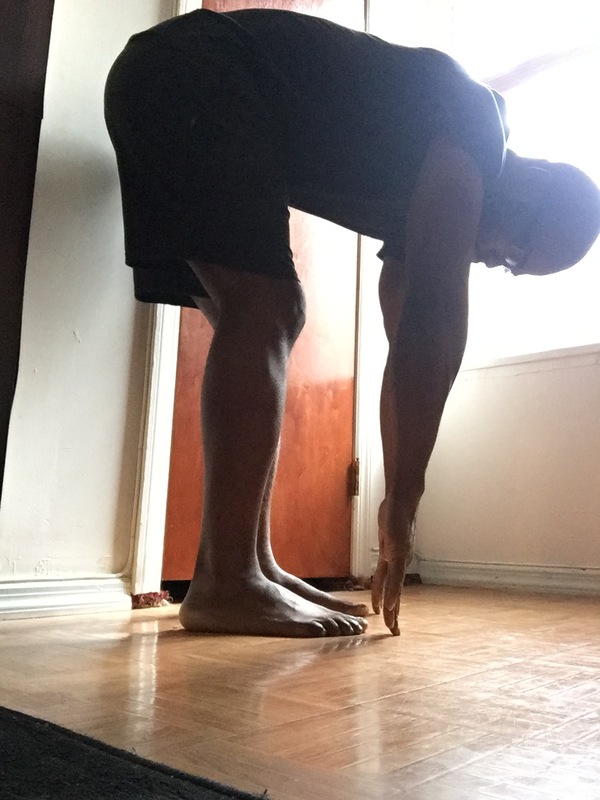 Hinge the trunk forward while reaching your hands towards the ground as your left leg lifts up. Aim to perform 6 to 10 reps.
-How much shifting is occurring at the hips? -Is the balanced foot/ankle wobbling and/or pronating too much? -Does your hamstring fatigue enough so much you’re forced to stop? -How high is the non-balanced leg when fully hinged? Is it in line with the trunk? The Fix: Hip shifting and lateral movements could be traced to weak and under-active hip external rotators. Band-resisted clamshells and side-band stepping will help with that. Another challenge with this test is wobbling and pronation at the foot and ankle. Doing inversion, eversion, dorsiflexion and plantar flexion with a Thera band is a great way to address this. Generally speaking, single-leg work like lunges, step-ups and single-leg squat variations are vital for strengthening the legs individually. Keep in mind that traditional squats done on both legs, while associated with tons of perks, do not identify which of the legs is working the hardest and and the least. Find a stairwell with lots of floors and climb up 3 to 4 flights at your regular, walking pace. -Did you get out of breath? -If you got out of breath, how soon did it happen? -Did you find climbing these flights of stairs overly exerting? The Fix: Stair climbing can be a good way to measure cardiovascular endurance and VO2 Max. The latter is the amount of oxygen available for use during activity. Here’s a simple way to look at it: If after walking 2 or 3 flights of stairs you found yourself breathing heavy, it indicates there wasn’t enough readily available oxygen in your body which means your V02 max and cardiovascular endurance are low. Obviously there’s a limited number of stairs we all can climb before we get tired. Assuming the knees and hips are in good condition, I believe we all should be able to climb a minimum of 4 flights of stairs without getting out of breath. Strength training the lower body and doing a wide variety of cardio activities like HIIT, bootcamp, cycling will surely help improve cardio endurance and VO2 max.